A short time ago, I read an informative post on about Ginkgo biloba fossils on my friend's blog: Views of the Mahantango. Reviewing pictures from a recent trip to the Smithsonian Museum of Natural History, they have a display on living fossils which they cover the Ginkgo or Maidenhair Tree (aka Ginkgo biloba). The text of the display says this tree is what Charles Darwin referred to as the "living fossil". 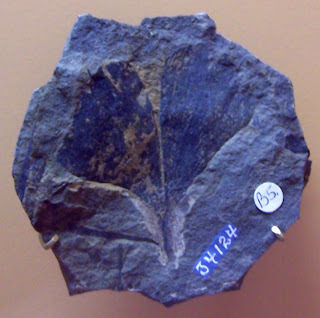 The plant has is origins over 290 million years ago or the Late Carboniferous Period. 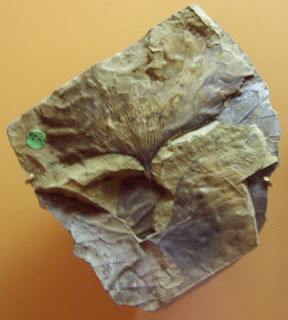 The plant is known for its fan-shaped leaves which can be seen in the fossil pictures. 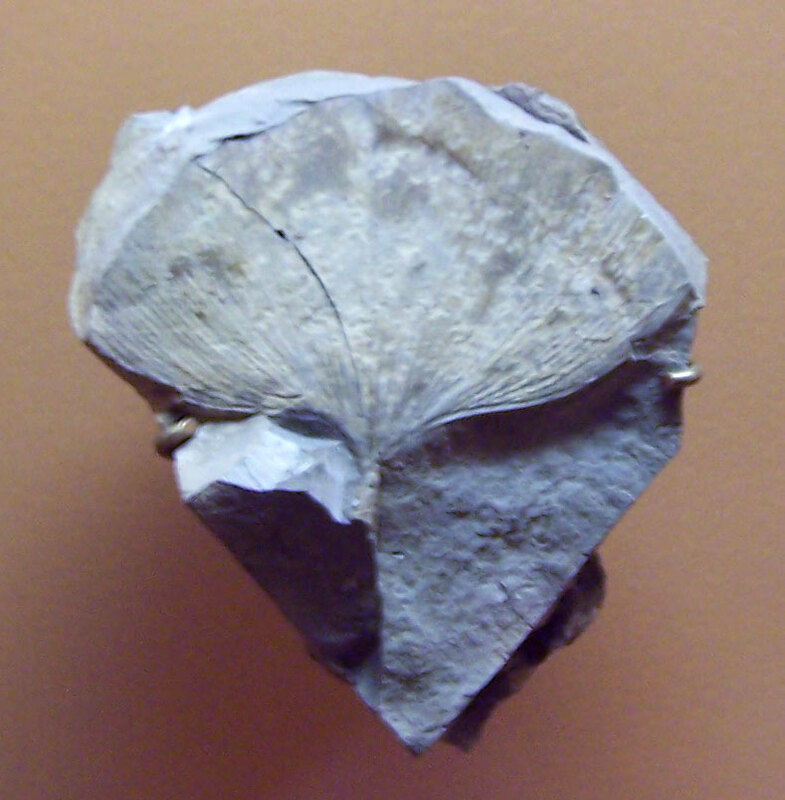 The above picture is of a Ginkgo digitata of the Jurassic Period found in Spitsbergen. The last two pictures of a ginkgo leaf fossil found in Montana of the Paleocene.